12/9/2011Share this story on Facebook! 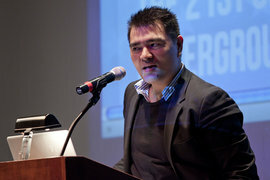 The Park Center for Independent Media sponsors several guest journalists, documentary filmmakers, and broadcasters every year. Learn more about the center's mission and past speakers that have visited Ithaca College. Visit Define American to learn more about the project or upload a video about what you think it means to be an American. 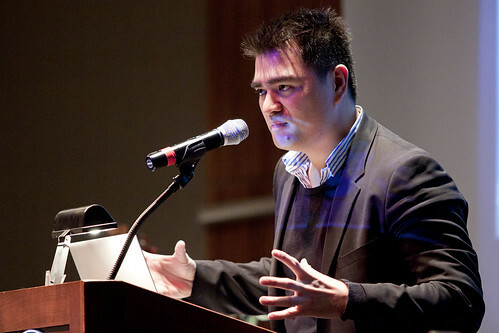 In what he calls the "golden age of storytelling," journalist and undocumented immigrant Jose Antonio Vargas told an incredible one while discussing immigration myths at Ithaca College on Dec. 5. When Vargas was 12 years old, his mother sent him from the Philippines to live with his grandparents in the United States, and he didn't learn of his undocumented status until he was 16. It wasn't until last summer that Vargas "outed" himself in an article in New York Magazine, "My Life as an Undocumented Immigrant." 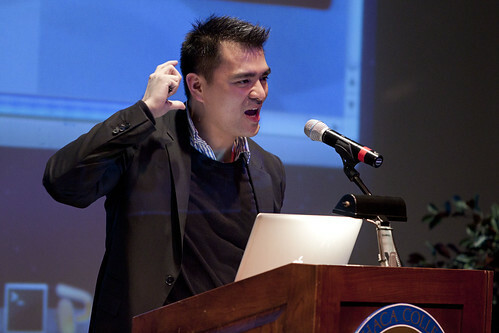 Vargas previously worked for the Washington Post, where he won a Pulitzer Prize for his collaboration on the Virginia Tech shootings, and reported on everything from technology during the 2008 presidential election to HIV/AIDS. 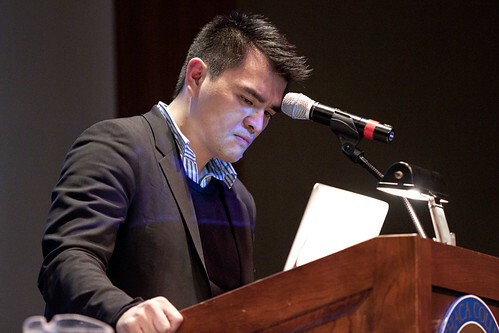 He also helped the launch the College and Technology sections of the Huffington Post as a senior contributing editor. Sponsored by the Park Center for Independent Media, Vargas spoke about everything from the DREAM Act to his experiences advocating for immigration rights in Alabama and Arizona, encouraging students and community members who attended the presentation to spread the word about the difficult trials undocumented immigrants must face. 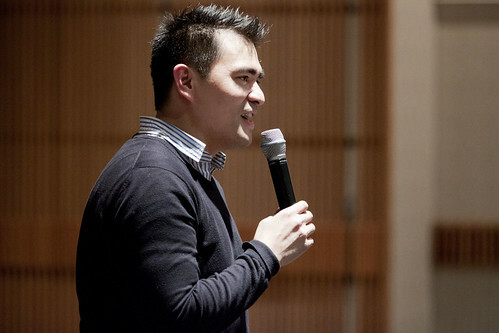 He also advised students to share their stories with the world and promote conversation about immigration rights that focuses on the solution, not necessarily the problem. "The best stories are those that are specific enough to become universal," he says. Besides traveling the nation to speak with Americans about immigration solutions, Vargas recently launched "Define American," a nonprofit project that collects stories and video responses to the question, "How do you define an American?," on the website. In one video Vargas showed the audience, one young student described his passion for the American dream, despite the fact that U.S. immigration laws prevented him from continuing his education in college. 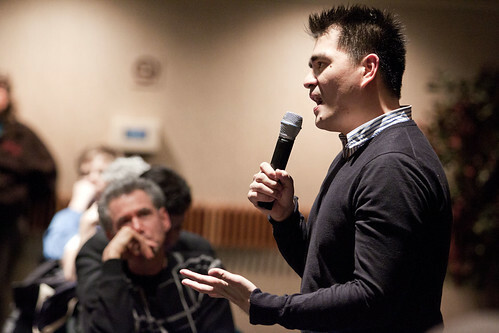 After Vargas told his story and shared several others with the audience, the conversation continued, as students and community members spent more than an hour asking him questions. Though Vargas says two-thirds of 11 million undocumented immigrants have lived in the United States for more than 10 years, he has hope that future generations can shed light on this vast population that lives in secrecy and has no way out. "The greatest tragedy is not the strident clamor of bad people, but the appalling silence of the good people," he says.